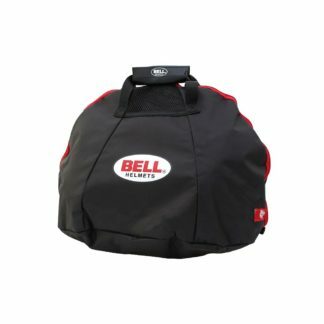 Expandable to fit just about any style of helmet. 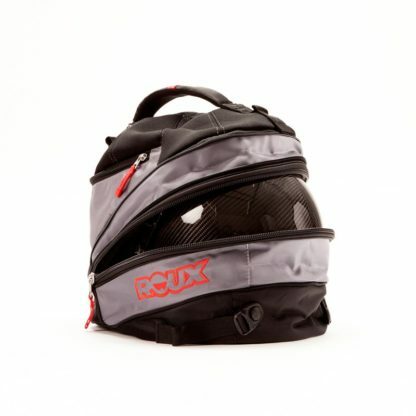 The Roux GT Helmet Bag is a perfect compliment to Roux’s bold new helmet line. 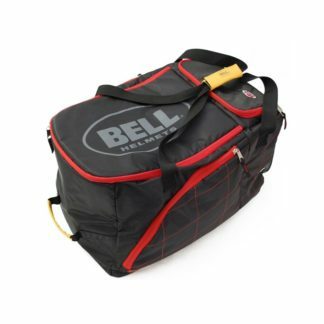 The durable bag is expandable to fit just about any style of helmet. 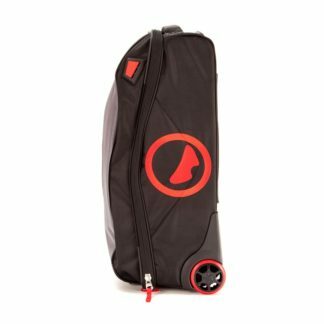 The ventilated base helps keep your helmet dry and stink-free, while the soft neoprene lining protects the helmet’s finish. An internal mesh pocket is perfect for small items such as earbuds. 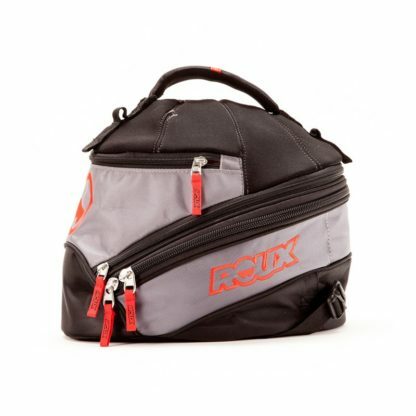 The Quick-Attach system connects to the Roux Racer Utility Backpack (sold separately).